About us – Hariharan Diabetes & Heart Care Hospitals (P) Ltd.
Hariharan Diabetes and Heart Care hospital (P) Ltd is located at door numbers 24 and 26, 29th Street, Nanganallur, Chennai- 600061, at a distance of just 1 km from Pazhavanthaangal railway station. It is well connected by road, rail, and air. 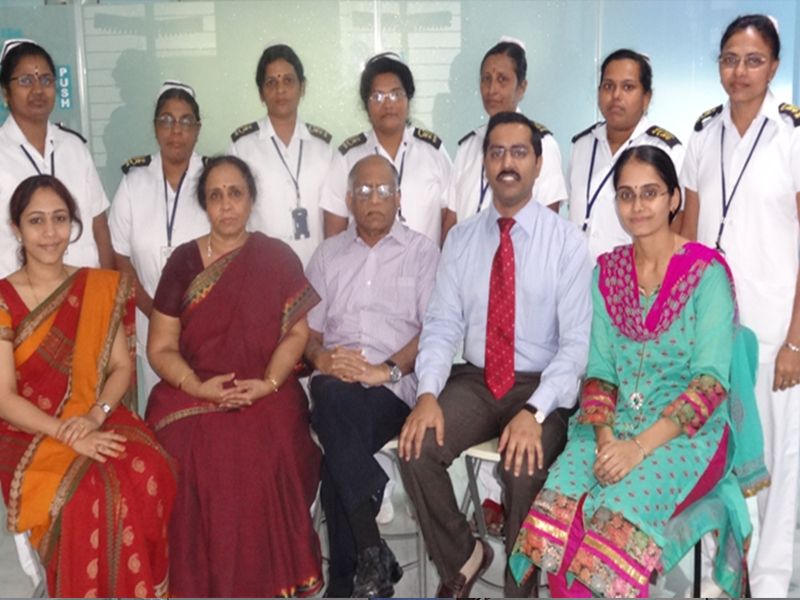 Started over 3 decades ago, on January 26, 1979, as an outpatient service, the hospital has grown to the present status as a multi-specialty hospital of great repute in Chennai. The hospital was founded by Dr.R.S.Hariharan and Dr. H.Kamala on 16.10.1989 with 8 beds. Dr. R.S.Hariharan believes in the words of Pandit Jawahar Lal Nehru “The future has to be built on the foundation laid in the past and the present”. He also quotes the saying of Nehru “ Time is not measured by the passing of years but by what one does, what one feels and what one achieves”. At door numbers 24 and 26 on the 29th Street, Nanganallur, Chennai – 600 061, in the suburbs of Chennai City in a 5½ ground plot. It is at a distance of 1 km from the nearest railway station, viz., Palavanthangal. It is well connected by road, rail & air. The Hospital was started in the year 1989 (16.10.1989) with 8 beds and it has grown over the years to its present size. And all requisite infrastructural facilities to support both the outpatient and inpatient services. The permanent residential medical staff of the Hospital includes 5 medical officers, all of whom are post-graduates. Nearly 50 visiting consultants in various specialties lend adequate support to make it a truly multi-specialty hospital.